They say good things come in small packages. Well in this case, big things come in small packages with big hearts! And that is what Esperanza Naito is. Although petit in size, Esperanza (Espie) has a big heart of gratitude for the care her husband received while a patient at Mercy Hospital Southwest. 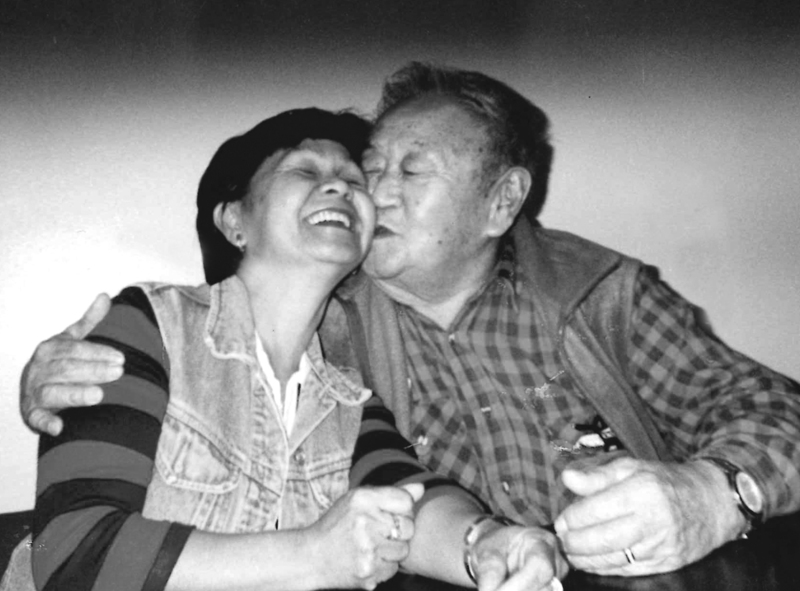 Espie spent many hours at his bedside at Mercy Hospital Southwest, caring for him as a loving wife of 10 years would. She was always appreciative of the staff, and what she described as such “kindness” to Hiro when sometimes, because of his illness and discomfort, he may not have been the easiest patient. Yet, as she recalled the care he received, she shed tears of gratitude for the gentle touch and kind words that were bestowed on her dear Hiro. After he died, she found the letter from the Friends of Mercy Foundation in her mailbox inviting her to consider an estate gift. Although she was not interested in making an estate gift, Espie did want to do something that would honor her husband. She called the Foundation office and spoke with Stephanie Weber about how she could place Hiro’s name on “those beautiful donor walls” in the lobby of Mercy Southwest. After she and Stephanie spoke, it was agreed that Espie would consider it, talk to her advisors, and make a decision if she could afford to make a gift to qualify as a Founders Circle member (a minimum of $10,000). Espie was not a wealthy person. She was left enough to live comfortably, but she felt compelled to do something “big” that would leave a legacy for Hiro and express her love for him. A few months later, Stephanie received a call from Espie telling her she was ready to make a gift. This is the part about “big things come in small packages”. The petite and soft spoke Espie arrived in the Foundation office with a check for $10,000 to honor her Hiro. Espie met with Stephanie, the Med/Surg Nurse Manager and the Manager of the Lab (both had been part of Hiro’s care) and shared her story about how she and Hiro met, their marriage, and most importantly, the kindness she felt from everyone who touched her beloved husband in his final days on earth. The pride in Espie’s eyes when she handed over her check was what the Friends of Mercy Foundation is all about – people expressing gratitude for care they or their loved one received from our caregivers. We may have shown Hiro and Espie kindness, but her giving expressed the purest form of kindness and will be treasured for years to come.